JEFFERSON CITY, Mo. (Legal Newsline) - Missouri Attorney General Chris Koster announced a lawsuit Monday against an Ohio-based telemarketer and its owner for allegedly using robocalls that harassed Missourians. M.A. Infinity Marketing Inc. and Mark Adams, the company's owner, allegedly placed thousands of automated robocalls to Missouri residents in an effort to sell life and health insurance. Many Missourians who allegedly received the calls were registered on the state's No Call list. Koster's office received hundreds of complaints about the company. The lawsuit alleged that M.A. Infinity and Adams violated Missouri's No Call Law. "Missourians place their phone numbers on the No Call list because they do not want to receive annoying, unwanted telemarketing calls," Koster said. "When they ask the company for the calls to stop, they should stop. That's the law." Consumers alleged they continued to receive calls after following the company's directions to press a button to opt out of further calls. Some Missourians alleged they received more than a dozen calls from M.A. Infinity in a single day. 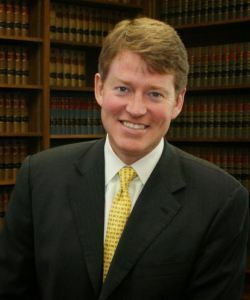 Koster's lawsuit requests that the court prohibit M.A. Infinity from making further calls to Missourians on the No Call list. The suit also seeks penalties of up to $5,000 per violation of the No Call Law and $1,000 per violation of Missouri's Telemarketing Law, in addition to the payment of attorney and court costs.